Interesting! The game looks and sounds great. I also found it to be fairly difficult. I finally reached the end of the level and got to race my doppleganger - then I was really sad that the doppleganger went away again after I fell in a pit. It was like being kicked back to the first level after I'd reached the second. I went ahead and played until I saw the doppleganger a second time, but after losing again I don't feel compelled to keep playing the same challenge over and over. I feel like my personal problem is less that the game is too hard, and more that it's too punishing. It seems like there are some natural checkpoints in the level (the tunnel sections) and I wonder if they could be used to introduce the doppleganger earlier, or not send you back as far when you fail. I also want to know more - why is there a copy of me? Can I interact with it? Why do I want to beat it to the end of the level? 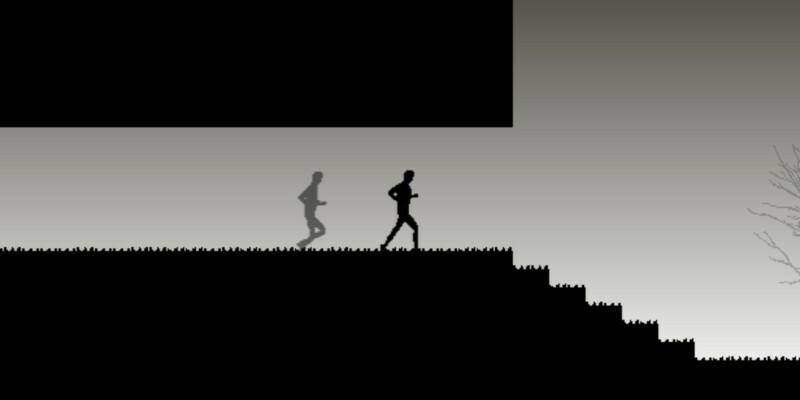 The art style of the game is cool, I have always liked black and white shadowy looks. 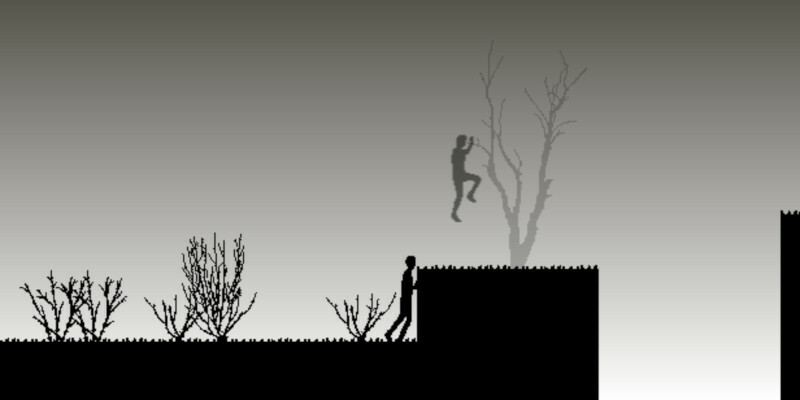 The game play is fluid for an endless runner, and I like the idea of endlessly putting the player up against them self. 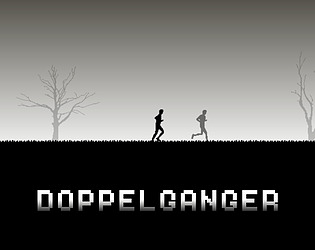 I unfortunately, am bad at the game and didn't get to see the doppelganger. 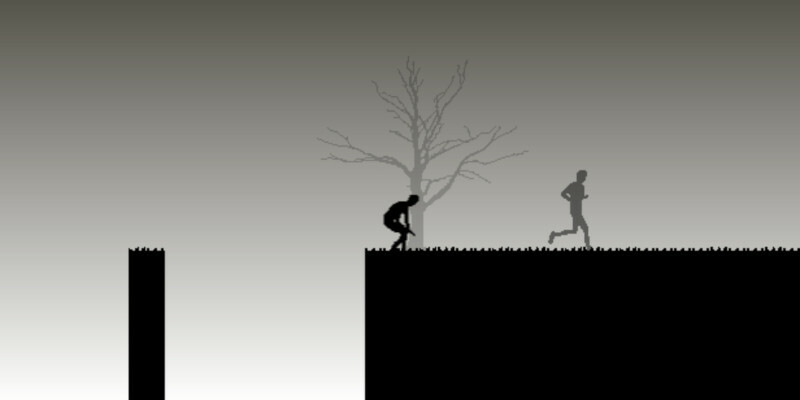 The level seemed pretty long for as far as I got, so when I fell after what I thought was a far distance, I didn't have it in me to try again. You think respawn checkpoints like islemaster suggested would do the trick as well? Maybe a minimap might intrude the aesthetics a bit too much. I like the grey eerie woodland style. Parallax scrolling trees, and maybe some mist would add to this nicely. I found the difficulty level just right, and the controls are responsive. Thanks. 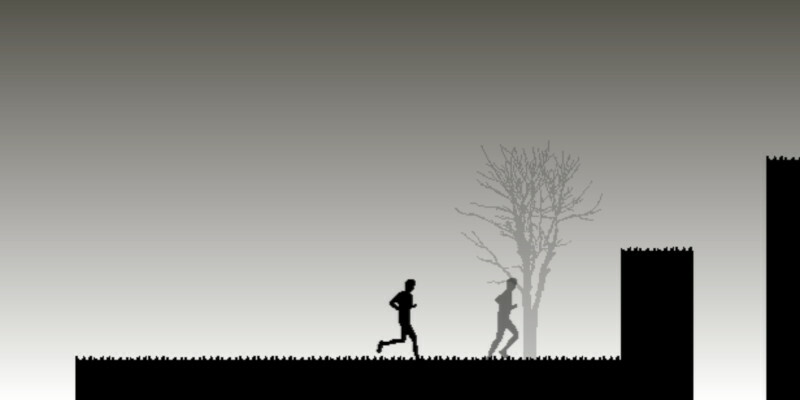 We thought about parallaxing trees but that might have made it too slow to play on older mobiles like the iPhone 5SE, so we thought best to get it to run on as many devices as possible for the game jam. But thanks for your suggestion, should definitely be included in the next version. Great entry, kudos! 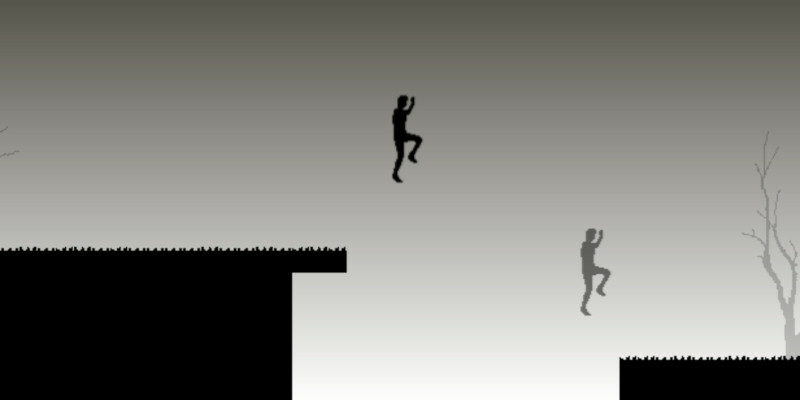 Love the minimal, Limbo-esque graphics and sound. Thanks. Yes, maybe we've made it too hard. It's only one level though. We've also just added a gameplay trailer which includes more details about the controls. Maybe that makes things easier? The style of the game is cool !